Joining the family business is one of the popular career choices made by young boys and girls from across the country. By family business we do not mean only those who are groomed to take over major conglomerates and corporations. Family businesses are ubiquitous in the country from running a grocery store to joining the wholesale textile business, from running a plastics factory to manufacturing fittings and furnishings. There are millions of family-run businesses in the country and children from these families are often in a fix when it comes to pursuing courses that will help them take charge when they join these business enterprises. BBA – Bachelor in Business Administration – is certainly the best choice for young students who wish to join their family businesses. The BBA program is a general degree in management which helps understand the various aspects of managing and administering a business enterprise. 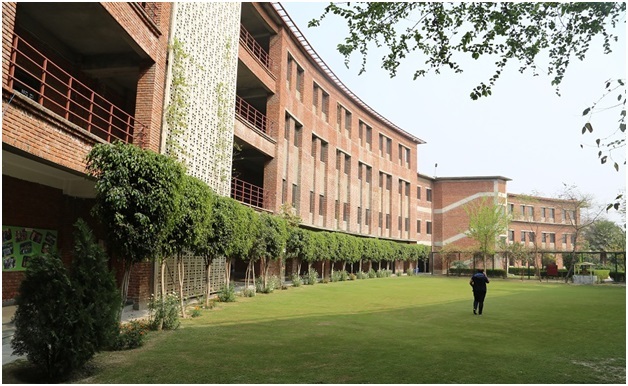 Of late, however, private colleges in Delhi for BBA have been offering specializations that will help the students pick out the specific field they wish to work in. BBA with specialization in Entrepreneurship or BBA with specialisation in Family Business and Entrepreneurship are two such courses that are tailor-made for students intending to join their family enterprises. Unlike working in a corporation, managing a family business requires knowledge and experience in various fields including accounting and finance, manpower management, operations, marketing and sales, and even IT and computer operations. Since running the family business will ultimately leave you in charge of all the various aspects, learning all these business management skills becomes vital. A BBA with specialisation in Family Business or Entrepreneurship will also expose you to various case studies. This means you will benefit from learning about the various different scenarios that other businesses have been in. Learning to handle business exigencies is another very important benefit. Just like the varied number of family businesses that exist in our country, the needs of these business enterprises too are varied. The introduction of technology has been a game changer in the way most family businesses operate. There is also the great boost that Government of India has provided family businesses with its ‘Make in India’ program. The BBA program will equip you with the right skills to utilise the benefits available to the fullest. This will help you consolidate and expand your family business as well. One of the greatest advantages of having the best BBA course in Delhi and other major cities of India as your alma mater, is the ability to learn from some of the finest business minds of the country. Not only will your peers go on to be some of the top entrepreneurs and business leaders, the opportunities to collaborate with them in joint ventures are immense. The ability to seek guidance and brainstorm for ideas to benefit your business is a lifelong one. Learning to network with people in the same business space is another major advantage. BBA in Entrepreneurship and Family Business is usually a 3-year program in most management colleges. Opting for the program after completion of Class 12 is a great idea if you plan to join the family business.